and American College of Physicians. 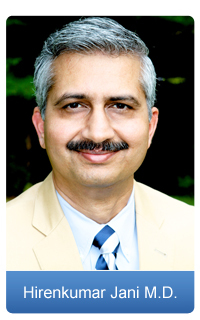 Dr. Jani is affiliated to Shelby Baptist Medical Center and St. Vincent Chilton medical center. Hirenkumar Jani M.D., P.C. d.b.a. internal medicineSouth is a practice of Internal medicine and Primary Care. We provide comprehensive medical care to adolescent, adult and geriatric population. We specialized in the treatment of benign conditions requiring office visit and minor procedures, acute illness requiring Inpatient care, critical illness requiring ICU setting and chronic diseases requiring nursing home care as well as end of life care. We are also committed to health and safety of our patients and offer preventive care, health counseling, DOT and sports physicals. To provide quality and compassionate medical care to the residents of Chilton county and neighboring areas to promote their mental, physical and spiritual well being and to improve quality of life. We are highly committed to our patient’s confidentiality and autonomy as it is our top priority at Hirenkumar Jani M.D., P.C. Our visits are patient centered, focusing on long lasting patient-physician relationship and trust.